This isn’t quite how it looked originally, but we do like the look of this 1970s Marconiphone stereogram with hairpin legs. 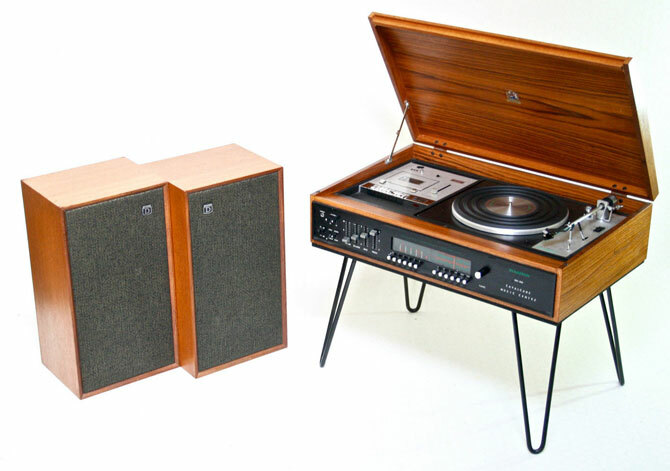 If you want somewhere to store some records and perhaps somewhere to sit a vintage record player, then you might want to take a look at this midcentury record storage unit. 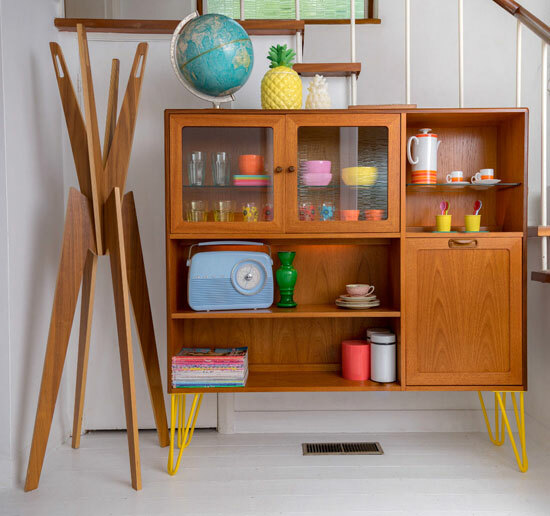 It almost certainly didn’t start to like this, but we like where this 1970s teak and glass display cabinet on eBay ended up.